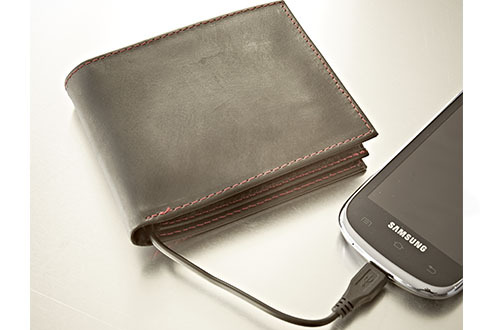 For men who demand high style and functionality, the Men's Phone Charging Leather Wallet is a winning combination. This handmade leather billfold features top-quality craftsmanship, plus a sewn-in pocket that holds a slim, rechargeable lithium-ion backup battery. 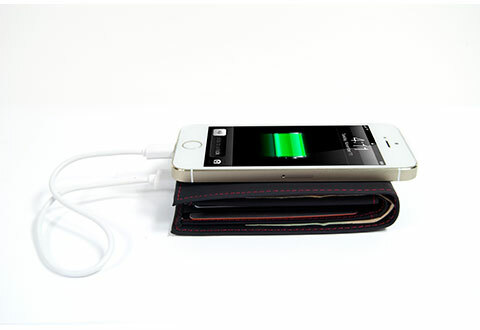 Plug your iPhone, Samsung Galaxy or other Android smartphone into the battery for up to 9 hours of additional talk time. 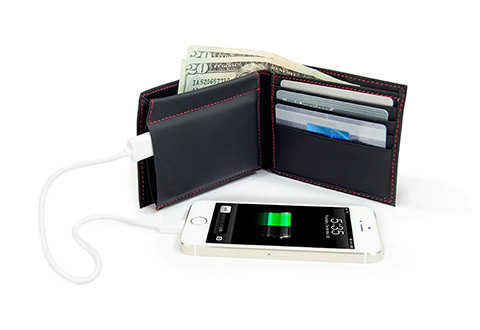 Features 1 cash compartment, 4 credit card slots and two extra stash pockets. 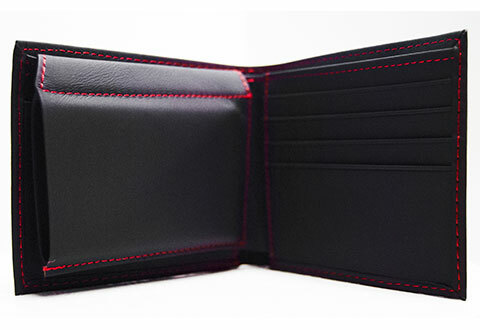 Available in dark brown with red stitching. 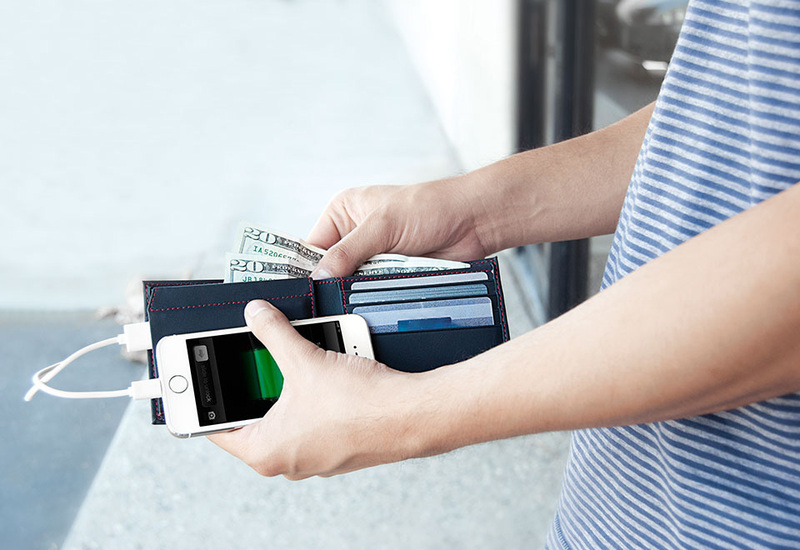 The Men's Phone Charging Leather Wallet is the handy billfold that looks great and gives you peace of mind for emergency phone calls. 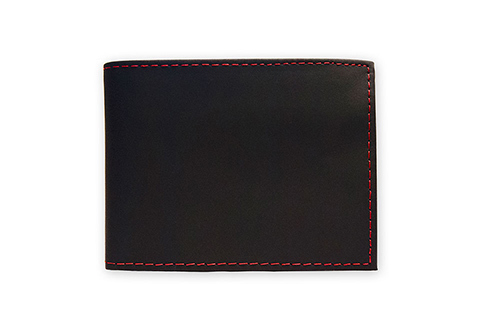 • 2 "stash" pockets for business cards, receipts, photos, etc. 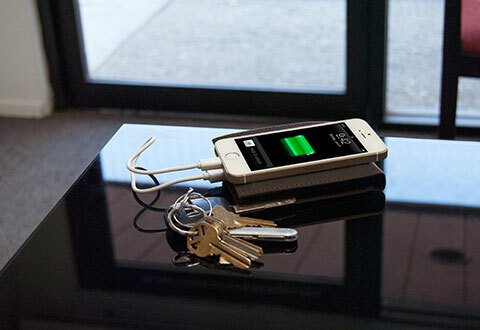 • Charging time: approximately 1.5-2 hrs.